If you own a professional business company, and website your contact information – such as email address – can be critical to the professional appearance and appeal you have to both current, and prospective customers. And while it’s not unheard of for independent contractors to use @aol.com or @yahoo.com email addresses, doing so as a businessman can not only appear unprofessional, but also deter customers because they may question the legitimacy of your business, product, or reputation. While major server, hardware, and at-cost maintenance email service providers can be effective, such as using Microsoft Outlook along with enterprise software such as Microsoft Exchange, they can also be quite costly. Additionally, they require a lot of maintenance, personalized organization, and can be limited in not only how flexible email access might be to you and your employees, but also “server uptime”. Counting on a large email provider and a well-established company like this is good, however, for many in this day and age of modern technology, it is not the most practical, or effective solution. Dependent upon your technical experience and level, different software, such virtual email servers, or cloud technology may best suit you and your business needs. Unfortunately, even major providers of email services can be especially costly, which leads us to the value and significance of cloud email technology. Using a cloud email service provider ties a lot of loose ends that other services cannot provide, saves you time, costs, and manpower which can maximize your business efficiency, ability to communicate with personnel – and of course your customers. Even better, many cloud email services have “in-house” maintenance, virus protection, and offer customization features that much older, competing for products, software, and servers just can’t compare to. 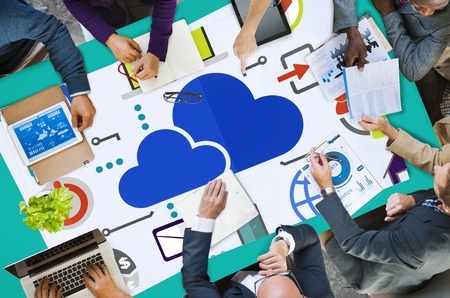 While cloud email technology is still considerably new, many service providers include extra management tools, administrative powers, and allow you to personalize your main control panel, rules for sharing information, and help you keep all of your private, customers, and financial data in one place, a “virtual” location, which means it can be accessed from anywhere. Typically, regular maintenance, updates, and virus protection can easily cost into the thousands of dollars or more annually if purchased or paid for separately – and if you have a substantially large business might even cost this much or more monthly. And while “older concept” email services, server technology, and software’s can be useful and productive in maintaining accountability and security, they often involve the physical downloading of software, various registration fees, monthly and annual fees, and other server – or even hidden fee – costs which is not practical or desirable to most modern businesses today. Because cloud email technology is still such a new concept, this means that more major companies, new companies, and other professionals are maximizing this opportunity to develop their own versions, types of services, and compete with one another which truly benefits you as a prospective customer for maximizing both flexibility and costs. Just keep in mind, as you would with any other product or software, take the time to carefully weigh your options of different cloud email service providers, look for special deals, promotions, and compare one to another to maximize savings and efficiency. Cloud email service providers also have the benefit of not requiring physical servers or hardware on your end, and often don’t even require any downloading for you or your employees which means you can access pertinent information or data on-the-go with ease, and confidence. Many cloud-based email services are also designed to be used on any type of mobile device, may it be android or iOS (apple), and will even allow you to modify data, or access your control panel to make changes on the go. Next PostNext How Reputation Management Can Have an Adverse Impact on Your Business?